Having worked on both sides of the funding game, seeking funds for my own business and then working with investors to fund early-stage companies, I know the challenges that you might be facing as you raise capital for your own start-up or growth company. That’s why I founded The Funding Game. At my Funding Game workshops, and in my coaching sessions, entrepreneurs have told me stories about how they've played the funding game - including the setbacks they’ve experienced and the breakthroughs they’ve had. Many of them have said that if they'd attended a workshop earlier in their search for funding it would have saved them a lot of time, energy and money. In an ideal world, I'd like this information to reach entrepreneurs BEFORE they start searching for capital. However, even if you are further down the road on your journey towards funding, and are facing obstacles along the way, I believe The Funding Game will help you re-energise your search. Don’t miss this opportunity to get on the fast track to funding. I hope to meet you at one of my events and look forward to helping you win your own funding game. Paul Grant is an experienced entrepreneur who founded and ran a London-wide catering business for corporate and retail markets for seven years and now assists many companies at early and growth stages. A former director of Capital Partners, heading up the business angel division, and more recently an associate director of BA Capital Ltd. and Bergstrom Capital, Paul is also the founder of The Funding Game initiative which aims to offer entrepreneurs a clear understanding of how to get their businesses funded. Throughout his career Paul has been a passionate advocate for the small business owner. Supported by a small London-based team, he offers a range of services to new companies, including investment, strategy and marketing support. 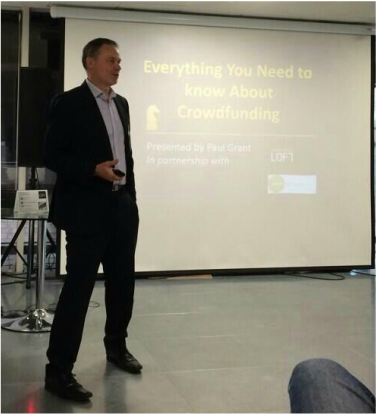 Paul is a frequent speaker on the subject of business funding at many public business events. He is based in London, England.